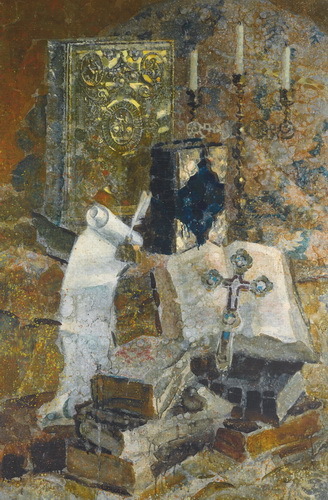 "I painted “Still-Life with a Cross” on the former estate of Nikolai Ostrovsky Shchelykovo. It is a large estate with a grand house, church and graveyard, where the playwright is buried. In the 1960s the church was closed, but it was kept perfectly intact, because it was under the authority of the Ostrovsky museum. The museum workers gave me the keys to the church and allowed me to work there. I was locked alone in the church, composed a piece from the objects located there and also painted there. It was uniquely beautiful and mysterious. 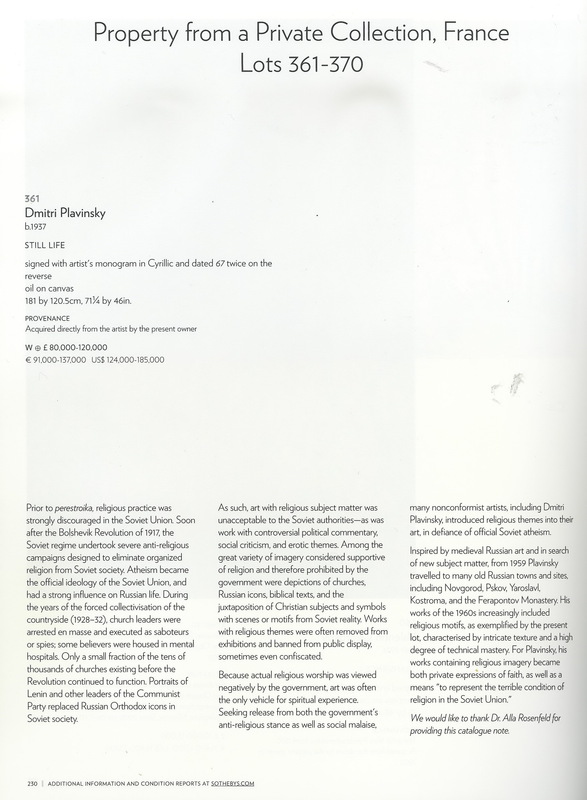 Unfortunately, during perestroika the church was robbed and all the icons, books and religious items disappeared forever,” Dmitry Plavinsky.